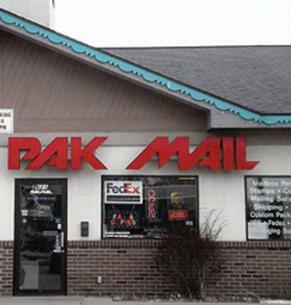 This existing Pak Mail store is situated in a prime location with high traffic visibility catering to both businesses and consumers; there is also great parking availability. The store has large clientele base and repeat business. No experience is required as a comprehensive training program is included with ongoing support. All inventory and equipment is included and are in excellent condition. This business has huge market potential with limited competition. The mission of the Pak Mail Training Program is to provide a comprehensive learning environment for new owners. We will teach you our Pak Mail Platinum Way (PMPW) operating system which is based on the customer Experience we provide. The Pak Mail approach is to use a combination of lead instructors and ISC Staff in both classroom and operational settings. This two week training has a heavy emphasis on hands-on practical experience. Additionally, the curriculum will include sessions on business planning, accounting, financial analysis, sales and marketing, freight and logistics, and the customer experience at the Point of Sale (POS). Pak Mail’s worldwide specialty shipping network is the foundation and differentiator for your business. You gain access to infrastructure allowing you to provide logistics and shipping services others cannot. Founded in 1984, Pak Mail has grown to be the world’s premier franchisor of packing, shipping, and business support services for commercial and residential customers. Recognized worldwide, there are nearly 400 Pak Mail locations across the United States, Mexico, and Japan with continual plans for expansion. Pak Mail will provide you a powerful, worldwide network to franchisees that ensures you build a successful, viable business. With access to our global shipping and logistics capabilities, Pak Mail makes owning and operating a business simple. Whether a customer is shipping to a large city or a remote location, our network of trusted carriers will get it there so you can provide your customer with the right solution. Your capabilities with Pak Mail span multiple industries, from small parcel shipping, freight packing and logistics to business services and support. The shipping industry is growing and already provides more than 25 million deliveries per day and it shows no signs of slowing down.